Workers' Compensation Attorneys In Florida - Call Us Today | Mario Trespalacios P.A. If you live in the state of Florida and you’ve suffered from a work-related injury or illness, you may be entitled to workers’ compensation benefits. Rather than trying to navigate the complicated legal waters on your own, you may want to consider hiring a dedicated workers’ compensation attorney. An attorney will communicate with the workers’ compensation insurer on your behalf, work to gather any medical evidence that will support your claim, negotiate a settlement, and represent you during your hearing. They may also be able to help you receive compensation for any medical bills, financial losses due to missed work, and pain and suffering that was due to your employer’s negligence. If you live in Florida and you need legal representation for a workers’ compensation claim, contact the experienced attorneys at the Law Office of Mario Trespalacios P.A. today. We have been defending the rights of Miami, including Dade, Broward, and Monroe county residents, for more than 25 years. From work injury representation to workers’ compensation retaliation, we can help you get the compensation you deserve. If your employer has admitted to negligence in the workplace but they are not offering compensation to cover your lost wages or medical bills, it may be time to seek legal representation. As an employee, you deserve a certain amount of legal compensation for the injuries you’ve accrued, the work you’ve missed, and the medical bills you’ve had to pay. If you’re not sure whether a settlement offer is good enough, do not rely on the workers’ compensation judge to make sure you’re getting a fair deal. If you truly want to ensure that you are getting the best settlement possible, hire a workers’ compensation attorney. Did you know that employers and workers’ compensation insurers will routinely reject bona fide workers’ compensation claims? This is because they know that many injured workers will fail to appear when it comes time to go to court. If you slip and fall at the workplace and injure yourself, it’s up to your employer to make things right. If your employer denies your claim or refuses to pay you the compensation you deserve, make sure to seek legal counsel right away. At the Law Offices of Mario Trespalacios P.A., we’ve helped hundreds of employees fight back against employers who refuse to pay them the compensation they deserve. If you’ve been injured due to an accident in the workplace, you can trust our attorneys to take aggressive action on your behalf. In addition to workers’ compensation claims, we also specialize in personal injury compensation and slip-and-fall accidents. If you’re interested in learning more about Miami’s Top Rate Local® workers compensation and personal injury lawyers, contact our team today. Being injured on the job can have serious consequences. Whether you’ve suffered from permanent disability or partial disability, you may be entitled to weekly payments for your pain and suffering, or even a single lump sum payment to make up for lost wages. When you go up against an insurance company, you’ll quickly learn that they’ll stop at nothing to avoid paying you what you truly deserve. When you work with an experienced workers’ compensation attorney, they can help you achieve the best possible outcome for your case. If your workers’ compensation settlement isn’t structured properly, your benefits could lower your Social Security disability payments. If you currently receive workers’ compensation or other public disability benefits as well as social security disability benefits, the total amount cannot exceed 80% of your average current earnings before you become disabled. If you are currently eligible for Medicare, you may also be asked to set aside a portion of your workers’ compensation benefits to pay for future medical treatments. When you make a point to work with a certified attorney, they’ll understand how to draft your settlement agreement in order to minimize or eliminate this offset. 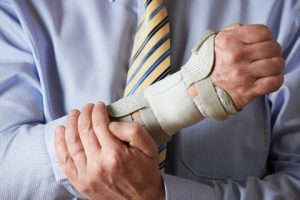 If you have a preexisting condition or injury that involves the same body party you injured at work, you’ll want to seek legal counsel from an attorney, as this can be an uphill battle with the insurance company. There’s a good chance the insurance company will blame your injury on your previous condition, rather than the work activity that reinjured you in the first place. If you live in Florida and you need legal representation for a workers’ compensation claim, contact the experienced attorneys at the Law Offices of Mario Trespalacios P.A. today. We have been defending the rights of Miami, including Dade, Broward, and Monroe county residents, for more than 25 years. From work injury representation to workers’ compensation retaliation, we can help you get the compensation you deserve. What Will A Workers’ Compensation Lawyer Do For Me? Hiring a workers’ compensation lawyer for your claim can have a number of benefits. Ideally, as soon as an injury occurs at the workplace, you should get in touch with a workers’ compensation attorney. By law, you have 120 days to report an injury to your employer, and this time frame begins from the date of your injury. If you fail to to provide a notice of your workplace injury within 21 days, you may not be entitled to recover your workers’ compensation benefits until the date that you give notice. Failure to do this within the 120 day limit will prevent you from collecting any benefits. When you hire a work injury lawyer, they will be able to provide you with an initial case evaluation. Your workers’ compensation attorney will be able to help you determine how much your case is worth, as well as the realistic likelihood of reaching a settlement with your employer. Making sure that the injured party visits a doctor for an evaluation. Providing an official notice to the employer or supervisor about the injury. Collecting all physical evidence from the accident. This may including speaking with eyewitnesses and collecting medical records. Responding to any inquiries or requests from the employer and insurance company. Insurance adjusters are in the business of paying as little as possible to injured employees. More often than not, an insurer will lowball your settlement from the getgo, hoping you’ll settle for the least amount of money right away. If an insurance company undervalues your average weekly income, you could lose out on a significant amount of money. By working with an experienced workers’ compensation attorney, they can help to ensure that you are not taken advantage of by the insurer. If you need immediate legal representation for a workers’ compensation claim in Florida, look no further than the Law Offices of Mario Trespalacios P.A.. As Miami’s Top Rated Local® workers compensation and personal injury attorneys, we take pride in helping our clients get the compensation they deserve. We also specialize in auto accidents, denied claims, and wage and hour disputes. If you’re ready to speak to one of our attorneys, schedule a consultation today!